Carol Mayer-Reed’s Nike Campus in Beaverton – one of the gardens featured on this weekend’s Garden Dialogues tour in Portland, OR. The other garden was designed by landscape architect Karen Ford. Photo: Image courtesy of The Cultural Landscape Foundation. Photo by Bruce Forster. Have you heard of The Cultural Landscape Foundation? I hadn’t, until I received an email promoting their upcoming series of Garden Dialogues around the country this coming weekend. Having explored the website, I’m now thoroughly dazzled by this organization’s ambitious projects, all aimed at bringing attention to both designed and natural landscapes that challenge, enthrall and move people. The Cultural Landscape Foundation is also deeply involved in landscape stewardship and conservation. Read here for information on a series of "lost landscapes"; here for "at-risk" landscapes; and here for information on landscapes that have been saved or are in the process of being saved or conserved. 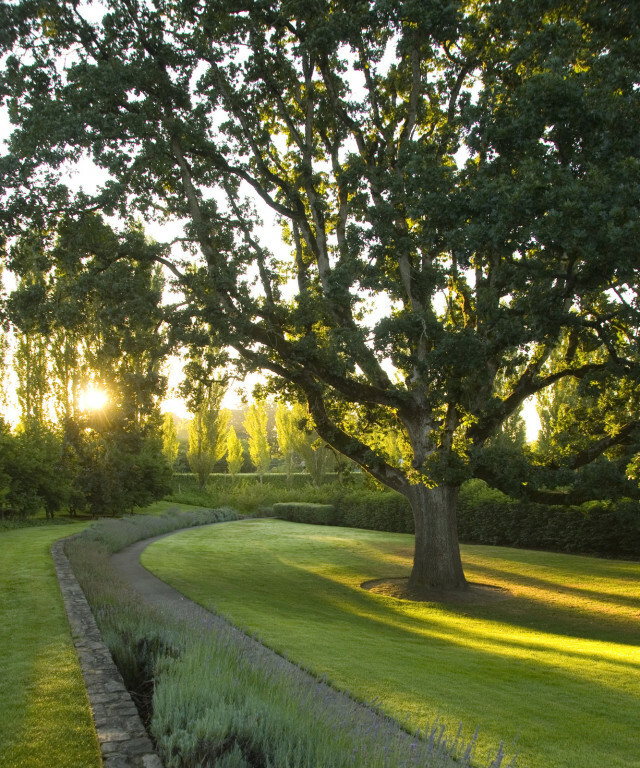 And for stories about landscape and garden stewardship, read this. And should you have time this weekend, check out a set of Garden Dialogues that are happening in the Portland area this weekend. At these events, you’ll have an opportunity to hear landscape architects and their clients discuss the design process and learn how landscape architects and clients work together to build a memorable, fruitful collaboration. Garden Dialogues are taking place around the country this coming weekend in Connecticut (Stonington, Salisbury and Redding); Indianapolis, IN; Cape Neddick, Maine; Newport, RI; Seattle, WA; and, of course, the Portland area. WHEN: Saturday July 14, 2012 from 2-4 pm (Lake Oswego) and Sunday July 15, 2012 from 2-4 pm (Beaverton). All event details here – click through to buy your tickets. WHERE: Lake Oswego and Beaverton, as well as Seattle, WA, and Connecticut, Indiana, Maine, and Rhode Island.